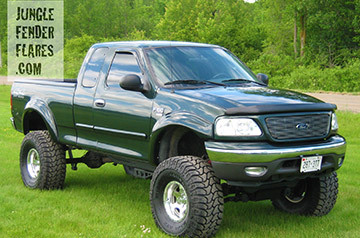 Jungle Fender Flares will make your Ford F150 look awesome and will help cover your oversized offroad tires. These will also look amazing on the stepside or flareside model. 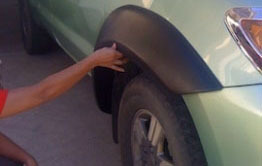 Jungle Fender Flares are some of the biggest fender flares available for the Dodge Ram. These fender flares give you a lot of extra tire coverage, and make your Dodge Ram look unique. We have Toyota Hilux Fender Flares available for all years made from 1989 up to the 2016 Revo. Depending on your model (MK3, MK4, MK5, MK6 or MK7) we may offer either professionally painted ABS or heavy duty fiberglass construction fender flares. 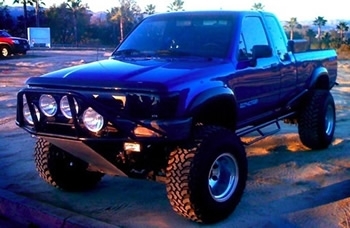 For the 1990 - 1995 Toyota 4Runner or Hilux Surf, we offer these JDM style fender flares that are reproductions of what was offered on JDM (Japanese Domestic Market) Widebody model. 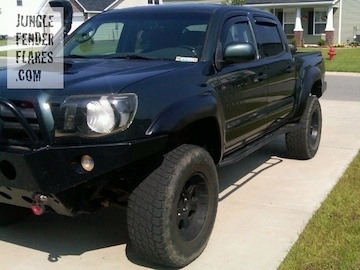 Big fender flares with wicked styling available for Toyota Tacoma models built from 1995 up to 2011. Amazing value at only $250 for the full set of professionally painted, no-drilling required, easy install Toyota Pick Up Fender Flares. 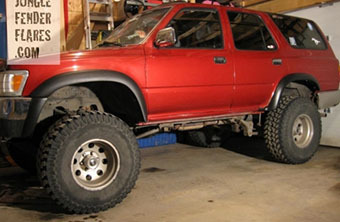 Complete sets of big fender flares for the Nissan Frontier and Navara truck. We offer some pocket style ABS models and some heavy duty fiberglass models. Amazing deals starting at only $260! 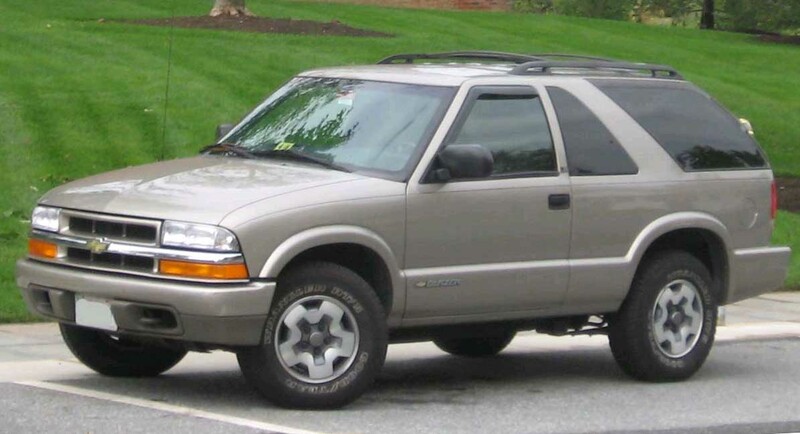 Fender flare sets to fit both the regular non-ZR2 and the ZR2 Chevrolet Blazer and GMC Jimmy built from 1995 - 2005.